Asdrubal Cabrera joins the Phillies as a power bat they sorely need. The feedback early on the Phillies' acquisition of Asdrubal Cabrera — an infielder they are familiar with from the Mets in exchange for a top pitching prospect in Franklyn Kilome — is mixed but seems to be generally positive. The 32-year-old fills a handful of needs for the team as it hunkers down for a fight to the finish for an NL East crown. So what are people saying and how does he fit in exactly? Having played solely at second base in Queens this season, the Phillies seem to be confident he'll be able to pitch in at the team's weakest spot — shortstop. Asdrubal Cabrera will move around the infield for the #Phillies. He will play fairly regularly, but not exclusively at any one position. 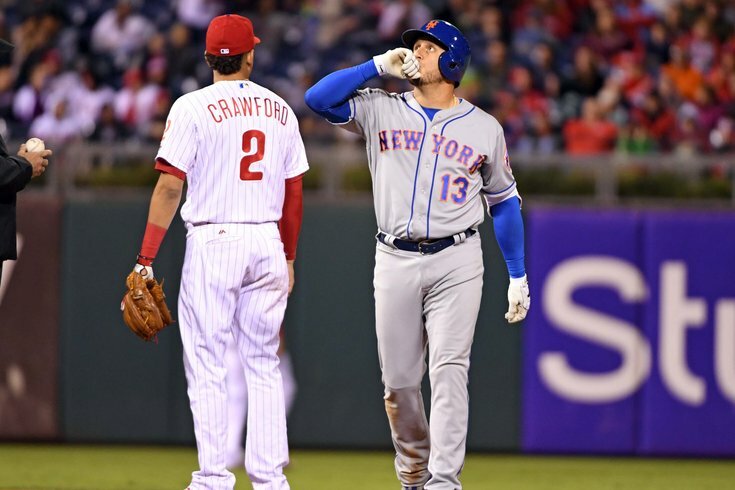 He's started 91 of 98 games for the Mets and figures to split time at short with Scott Kingery (if he stays with the big league club) and J.P. Crawford when he returns, and will probably get a few reps behind Cesar Hernandez at second. The Phillies expect Asdrubal Cabrera to join the team Saturday in Cincinnati. Matt Klentak said Cabrera will not play just one position or relegate "any of our young players to a full-time bench role." The Phillies as a team have the third worst WAR at the SS position in major league baseball and are toward the bottom there in pretty much every category (they have a putrid .279 on base percentage for shortstops — the league average is .320). Cabrera brings with him a .329 on base rate, a .277 average and WAR in the positive. His slugging percentage — thanks to 18 homers, 23 doubles and 58 RBI puts him third on the Phillies behind Rhys Hoskins and Maikel Franco. The acquisition is not a big blockbuster and many have called it conservative or safe — and it is. But with a bevy of young newcomers, like Roman Quinn (who just got called up), Ranger Suarez (who pitched well in his debut Thursday) and others, the team isn't necessarily desperate for a rental. Some are criticizing the trade for Cabrera, who will become a free agent at season's end. In Kilome, the Phils lose their 10th best prospect. He's a flame-throwing 23-year-old who had a killer month of June in Double-A and projects, perhaps, to be a late inning reliever. Prospects are a crap shoot, and the team DID hang on to its top young hurlers like Sixto Sanchez and Adonis Medina, though another move for a veteran arm is likely to follow before the trade deadline next week.